What came first… the chicken… or the wig? 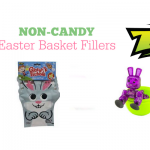 Chicks with Wigs is a new line of blind boxed collectible characters for children age three and up from Leading U.S. toymaker JAKKS Pacific, Inc. We think these adorable chicks offer a fun Easter basket alternative to wind up toy chicks, rubber ducks and other Easter gifts that get repetitious year after year. Chicks with Wigs collectibles features a variety of chicks with different hairstyles, colors, eyes, and glasses. Each chick also features a different facial expression. 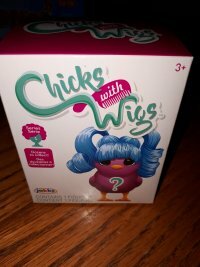 The chicks feature rooted wigs that are styled into cute and spunky hairdos. There are 24 chicks in series 1 alone, and 24 additional chicks to collect in series 2. You know that your child is going to want to collect all 48 chicks, so they better start saving their allowance. 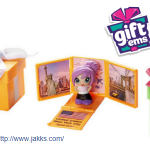 Each stylish bird comes in a blind box for an added element of surprise. Each Chicks with Wigs comes with a checklist showing the names of all the available chicks. 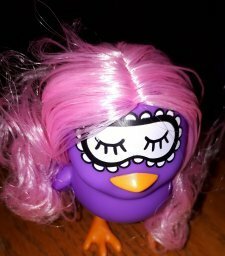 My daughter owns two chicks, however, we plan to add more Chicks with Wigs to her various other collectibles to start her on her Chicks with wigs collection. While the chicks don’t come with a brush, my daughter uses her Barbie-sized brush to style her hair. Miss P. says that the chicks are really cute. 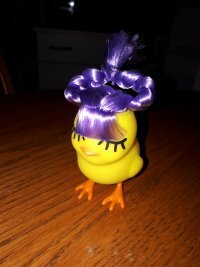 She likes styling their hair and the chicks are perfect for salon pretend play, which is a popular activity in our house. If you are wondering where to purchase, Chicks with Wigs they are currently only available to purchase at Walmart. 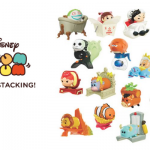 While you are at it why not add some Squish-Dee-Lish blind bags and Tsum Tsum figures featuring your child’s favorite Disney characters to their Easter basket too. 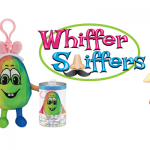 These are so adorable , my granddaughter would totally love this , thanks for the great review !! Oh my goodness ,they are just adorable !